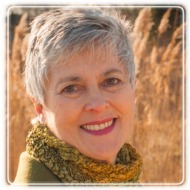 Northbrook Therapist: Carol Drengenberg - Therapist 60062. Send A Message To Carol. Session Fees: Many insurance plans are accepted in my practice. Special consideration is provided for non-insured clients. I began my professional career as a registered nurse in the fields of mental health, nursing education and then media development/consulting for a large publishing company. Since hospice care had always been of interest to me, I took an RN refresher course and began practicing as a hospice nurse in the northern suburbs of Chicago. While continuing my hospice work, I returned to graduate school for a Masters degree in Community and Family Counseling, with eventual licensure in Illinois as a Licensed Clinical Professional Counselor. I interned at the Midwest Palliative and Hospice Care Center, followed by professional employment there for twelve years as a Bereavement Counselor and then Staff Support Counselor. Continuing to combine my nursing and counseling professions, I became the program director for the Cancer Wellness Center in Northbrook and was then recruited to be a member of the initial Integrative Medicine Team at what is now the North Shore University Health System - Department of Integrative Medicine. While a member of the Integrative Medicine Team for five years, I studied additional integrative therapies and practices. I have maintained a private practice for seventeen years, working with clients with depression and anxiety, relationship issues, grief and loss, health problems, as well as those searching to find meaning and joy in their lives. Because of my nursing and integrative medicine background, I bring a “body-mind-spirit” approach to my work with clients, offering a variety of therapeutic interventions. We often refer to this array of interventions as a “buffet table” of choices, with clients invited to “sample” what appeals to them and then decide what suits them best. Since personal connection is such an important part of the counseling relationship, I offer a complimentary “meet-and-greet” session for individuals considering working with me. This provides an opportunity for us to get to know each other a bit as well as to discuss goals and expectations, helping ensure the counseling relationship will be a “good fit”. I am a Licensed HeartMath Provider and also a certified provider of the Institute of HeartMath's "Stopping Emotional Eating" program. My personal life includes the gifts of a long and happy marriage and being the mother of two grown sons. Hobbies I enjoy are reading, interior design, dog-sitting, biking and any outdoor activity involving Lake Michigan! The website www.mypainmanagement.net, developed under a research grant by a local non-profit organization, may also provide you some helpful information. I was the content-author for the interactive modules featured on the site and offer all of these interventions in my private practice. The modules on this website teach techniques such as relaxation, visualization, imagery and research-based writing interventions - all helpful with managing anxiety, depression and stress as well as chronic pain. Your questions are always welcome!